The piece aims to expanding the capability and possibility of extreme sports as we understand them. Inherited from our natural instincts, sliding as children and snowboarding as adults, the focus is on one of the most influential and stimulating sports – skateboading, aiming to push the boundaries further. The piece creates a groundbreaking form of sport which previously never existed and utilises the hidden energy of our cities – stairs. 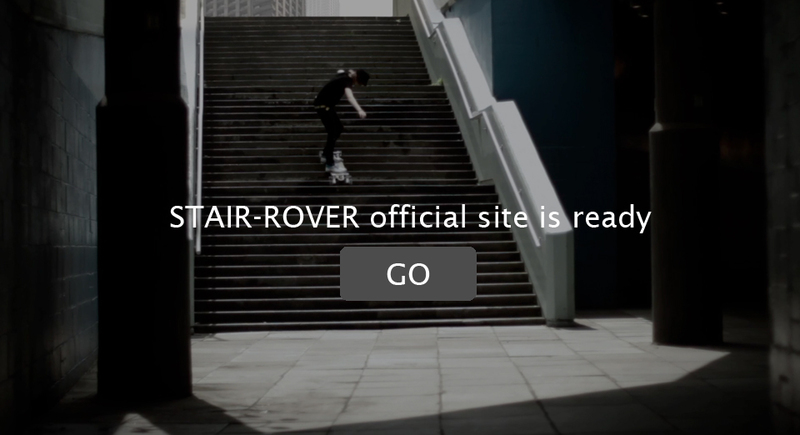 STAIR ROVER – the Stairboard is a product that relies on the other product – stairs, which are found easily within the human habitat, especially in cities. This is an outstanding performance reflecting where we as residents live and what we love. Extreme sports are hugely various and engages many people to be involved. Indeed, extreme sports are one if the latest crazes in our culture with kids as young as four and five years old fascinated by it. This is an innate behaviour from the deepest recesses of ourselves, keen to challenge ourselves and look for the edge of what we are capable of. It is an activity highly reliant on the balance of danger, control and excitement. There are very few sports which can compete with skateboarding which can boast so many people having experienced them so enthusiastically in this generation. No city is so fascinating and encouraging as London. Few can outline the metropolitan diversity so perfectly as this place. The Barbican Centre presents its Urban Stories, indicating that the sub-culture of graffiti, free-running, skateboarding, street dance, and extreme sports are now accepted and a valid and valuable influence on our generation. London is my inspiration. It leads me to craft a new hybrid sport around the classic skateboard and novel stair climbing mechanism. The project aims to create a new experience for users to rove along the landscape of the city. This advanced boarding activity turns boundaries and restrictions into a positive and creative physical enquiry into the ever changing kinesis of the urban ecostytem.